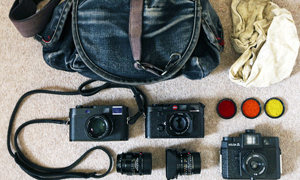 Vernetta is a university digital photography teacher by trade but this is the gear that has her drifting back to film. My name is Vernetta Mast-Thomas, I was born in Oklahoma, raised in Texas, and I currently reside in Nevada. 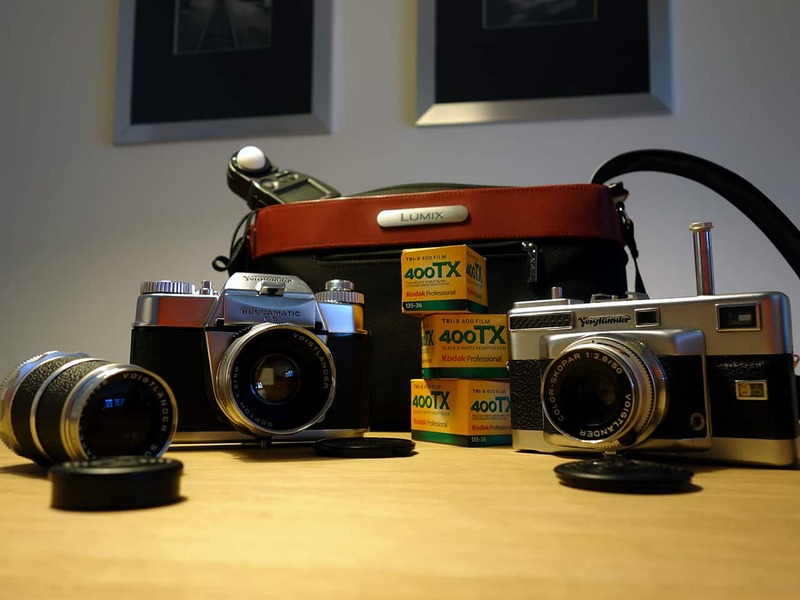 I fell in Love with film photography while living in Europe, the images of Henri Cartier Bresson, Robert Doisneau, Josef Koudelka, just to name a few. These photographers created images that tell a story, images that if you never experienced much, you lived the experience thru the eyes of great photographers, who were visual story tellers. Currently, I instruct Digital Photography at the University of Nevada Las Vegas, while I require my students to use a DSLR. I find I have drifted back to film, I missed the pure quality, the rawness of both street, and documentary photography shot with film. I started to re-evaluate what was missing in B&W images I see today, and they cannot take the place of film. I also recognize the best photographers do not need a plethora of gadgetry to get the image right. It’s all about what you know, and how you utilize composition, lighting, and exposure. The simplicity of most film cameras allow you to concentrate on those things like composition, lighting, and exposure. Canon FTB Q, Yashica Electro 35 GSN Rangefinder (One day, I gotta get a Leica M9, one day!) Nikon FT2, Fujifilm Instax Mini 8. My favorite 2 camera of the 3 are the Canon, and the Yashica, I love the lenses, 50mm f/1.8, and the 45mm f/1.7 both render lovely bokeh. Oops, forgot to mention I had to sneak in my Fujifilm X Pro 1, I love this digital camera, its simplicity of use, rangefinder comfort and feel, makes me ever so happy! 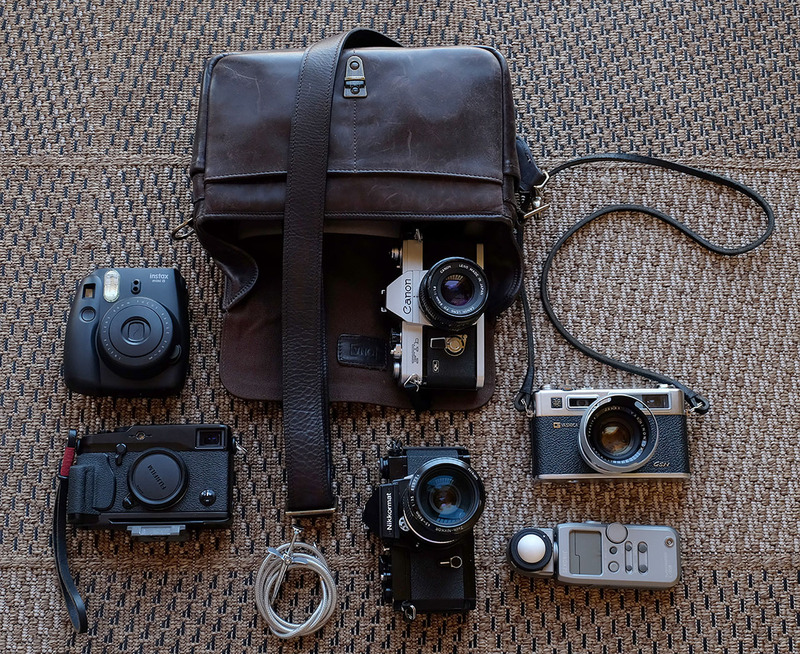 My camera bag is the ONA Leather Bowery, I own several other ONA bags, the Prince Street, but I included my favorite in the image. My professional projects I still shoot digital, full frame and crop sensor since that’s what’s required by my clients. My intent is to totally transition back to film, except for my food photography, by the end of 2018. 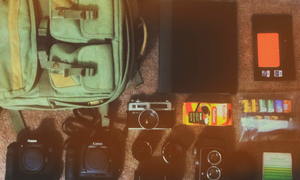 Thanks for sharing with us your bag shot Vernetta. Yeah, the Yashica Electro has been known to be a gateway drug to Leica. when I click on your website link.